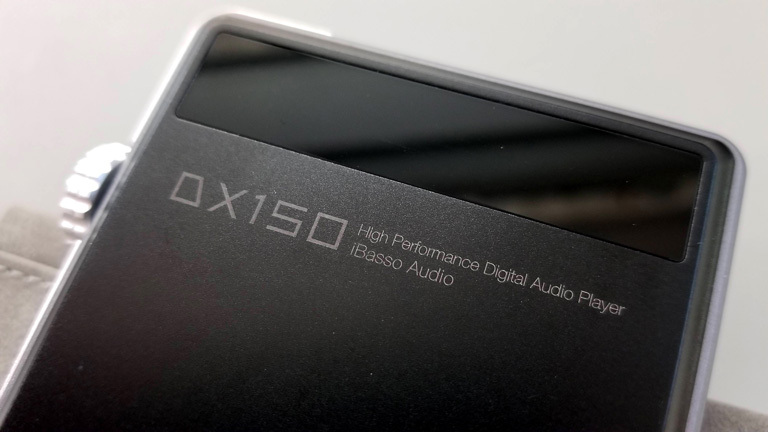 iBasso provided the DX150 free of charge for the purpose of my honest review, for good or ill.
After my experience with the DX200, which has since become my primary reference digital audio player, I knew I had to keep an eye on future developments from iBasso. They have a pesky habit of creating superior products at reasonable prices. Even their IT01 dynamic driver IEM shoots WAY above its market value. So I contacted Paul to let him know of my interest. In short order, my new DAP arrived. 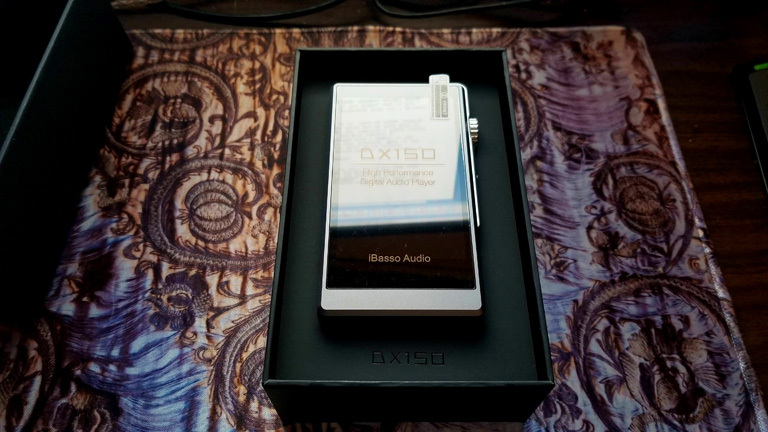 The DX150 is an evolution of the iBasso philosophy. In many ways it improves upon the DX200. For starters, it is attractive. Seriously attractive. There’s an elegance which does not exist in big brother’s tank-like build. 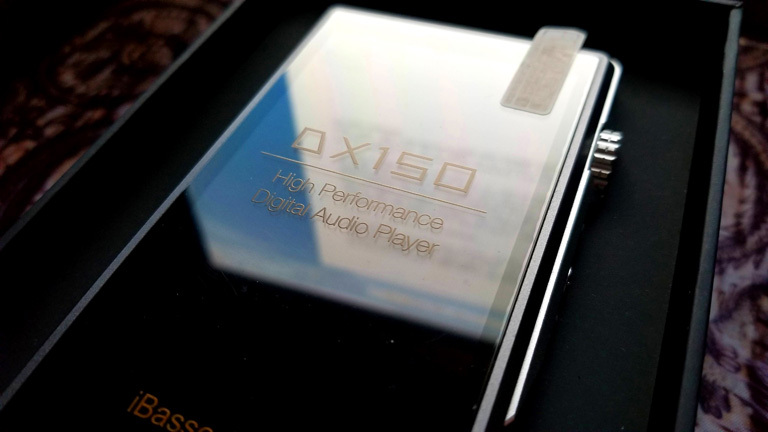 The artistry DX150 embodies is charming, and something you want to show off. 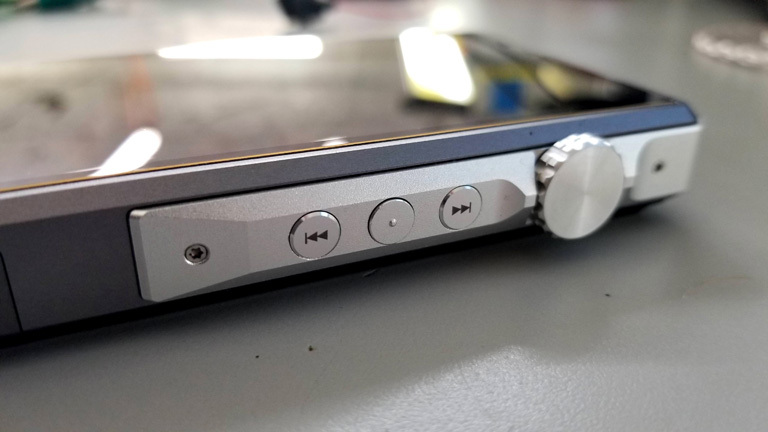 The volume wheel is more easily accessible. No longer is it locked behind a thick piece of aluminium. Does this make it less secure? I guess. But I find it sturdy enough not to warrant concern. The buttons feel a little wobbly, however. I can hear a slight rattling when I shake the device. Fortunately, they are nearly flush with the chassis, so there is no real chance of them catching on anything or being damaged. Still, I prefer a solider feel when I interact with my players. 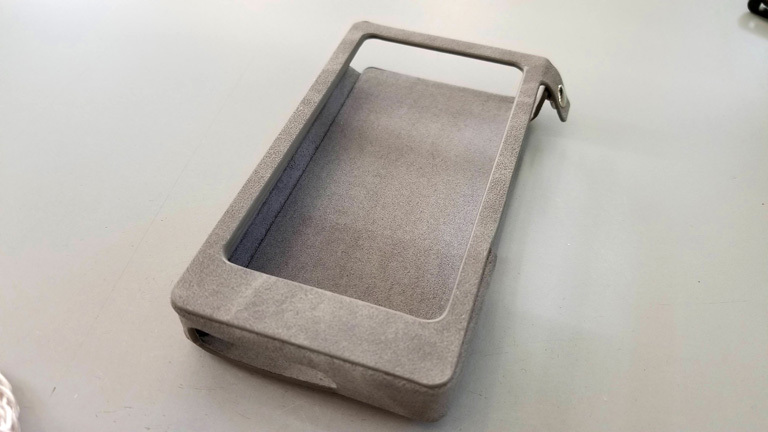 The screen, also, sits flush with the body of the device. Whereas on the DX200 it had this raised look. It’s rather sleek now. Color richness and resolution is perfect for displaying album art in an accurate way, but don’t expect smartphone-level crispness. 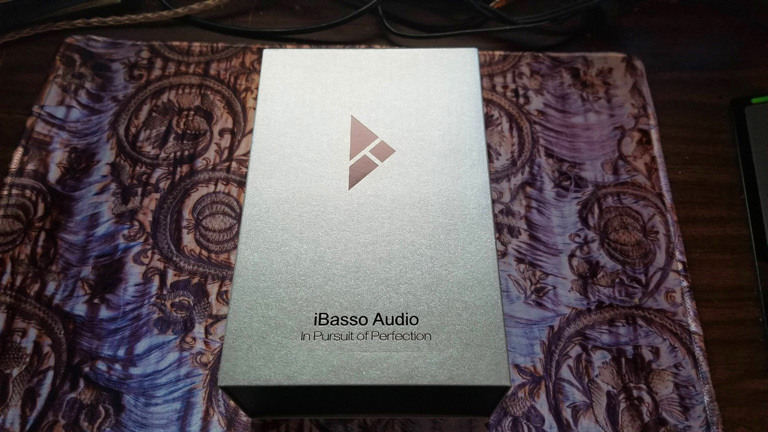 iBasso continues its brilliant use of Amp Modules. What’s more, they are interchangeable between players. 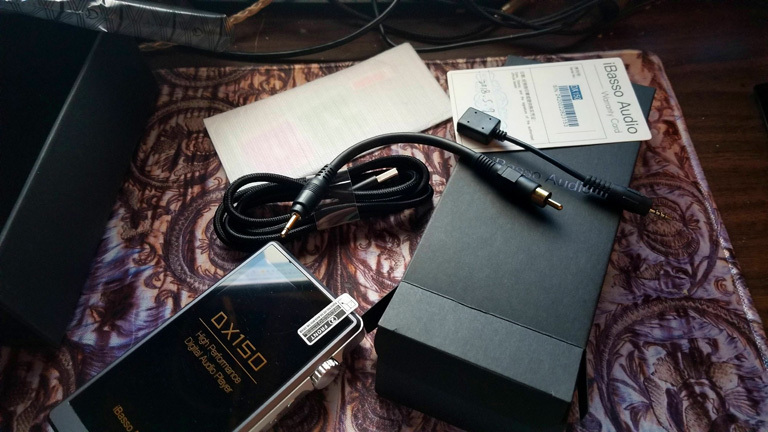 Any of the Amps iBasso released for the DX200 work with the DX150. And vice versa. 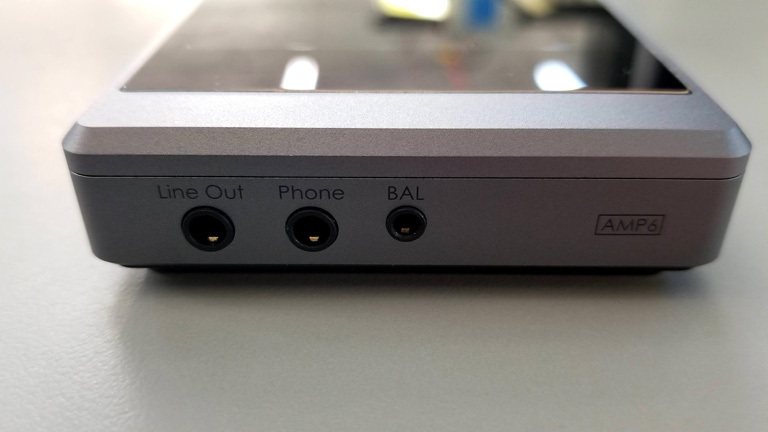 AMP6, which comes preinstalled on the DX150, can be connected to the DX200, if you happen to fancy that pairing. It’s a fantastic ecosystem they’re building, and one which will grow in curious ways, I suspect. Android 6 is implemented for the OS, with the ability to side-load the Apps of your choosing. Don’t ask me how to do that, since I don’t like Apps on my players. So while I understand the DX150 is capable of streaming TIDAL and Spotify, since it also has WiFi, I never tested those claims. I’m a bad reviewer. I only care about the features that effect how I use my DAPs. I don’t have the patience or discipline for anything else. What does that mean? SD Cards, loaded with FLAC and DSD files. How does it handle that, most basic function? Quite well. Though not perfect. I have experienced some slow-down with high-res tracks and DSD. Early on, when playing a 24/96 FLAC file, the system fell to a crawl. Even changing the volume presented significant lag. But after breaking the device in, I never saw it that severe again. I can switch back and forth between 64DSD and HD FLAC with only a little bit of buffering. Using current firmware, DSD exhibits delay with play and pause functions, but it’s still perfectly usable. Hopefully with later updates, these will get reduced further and further. Since I always play through entire albums at a time, this doesn’t bug me very much at all. Once the first track begins, Gapless playback delivers a seamless session. I did test out Bluetooth functionality. My Klipsch X12 Neckband paired up with ease. Playback of standard FLAC Redbook files was perfect. No glitches or hiccups. But any HD or DSD files is a no-go. Same with DX200. Not enough bandwidth. I would like to see Firmware smart enough to downsample files too robust for wireless playback, instead of foolishly trying to play them, and failing. Hell, even an error message saying “Format too big for BT” would be nice. As it stands now, you have to guess why your music isn’t running. AMP6 Module, which comes pre-installed, is fairly powerful in Balanced output, and decently powerful in single-ended, as well. This may be the best multifunction amp they’ve released yet. Hey I already have a dx150 and love it. Is it worth my buying a dx200 or should I go for something else? I would start with getting one of the High Current AMPs for the DX150 (AMP7 if you run single-ended, AMP8 if you run balanced). Enjoy the sound improvements with that. Then get the DX200 if you’re still wanting more clarity and detail, soundstage and resolution. 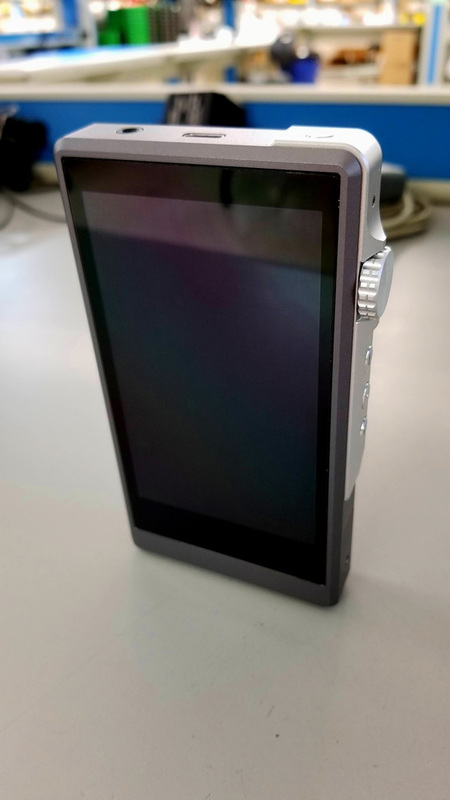 I own the DX150 and would like to use it to power the new Audeze LCD2 closed back. So I appeal to your knowledge to have an informed opinion before buying this headphones: do you think that the DX150 is powerful enough to drive correctly this headphones ?? If not, can one of the amplification modules be better than the amp 6 ?? 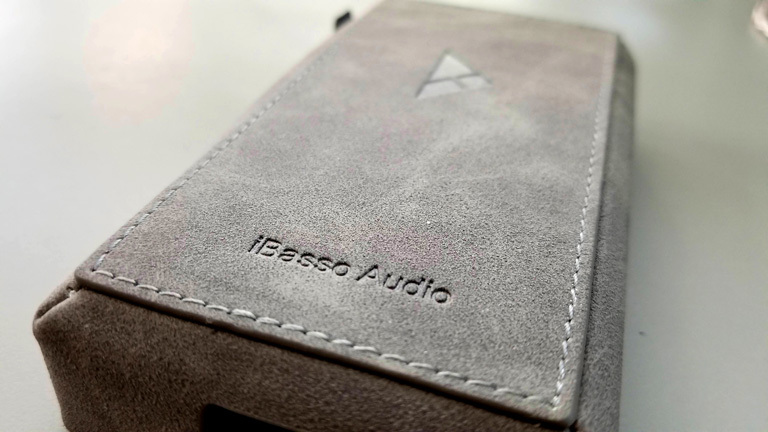 Looking at the specs of the LCD-2 Closed, I suspect you will want the AMP7 or AMP8 high-current modules to properly drive them. Those headphones are a serious load for any DAP to handle. Can I please have your review model, since you don’t need it any more? If only it were that easy. But I still have much need of it, for future articles. 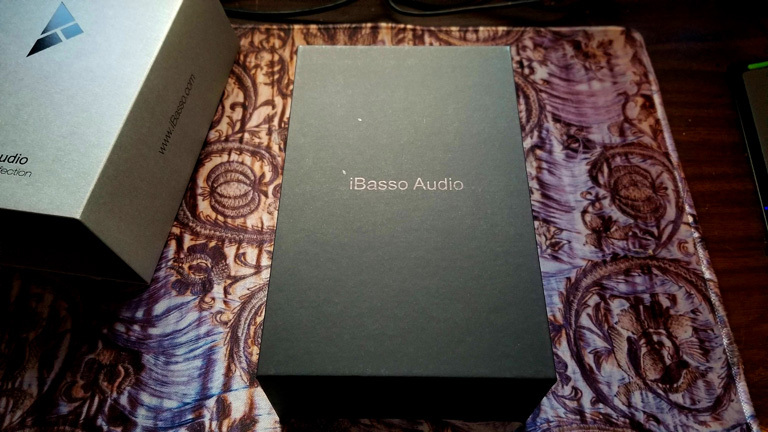 iBasso makes an investment when they send me a product. Not only does it get it’s own review, but it will join the cast, and make appearances in many more articles down the road, as points of comparison and pairing options. If the product’s any good, I try and use it as often as possible. Hello Pinky, thanks for another great write-up. Speaking of #1S/N5-II/DX150, which one you’d recommend as a better pairing for Periodic Be? These are my main IEMs. The Be has a signature which works well with virtually everything. So none of them will sound bad. It really depends on what traits you wish to emphasize about your IEM. If you want to push clarity and detail, go with the N5ii. If you want the most bass energy and fun, go with DX150. 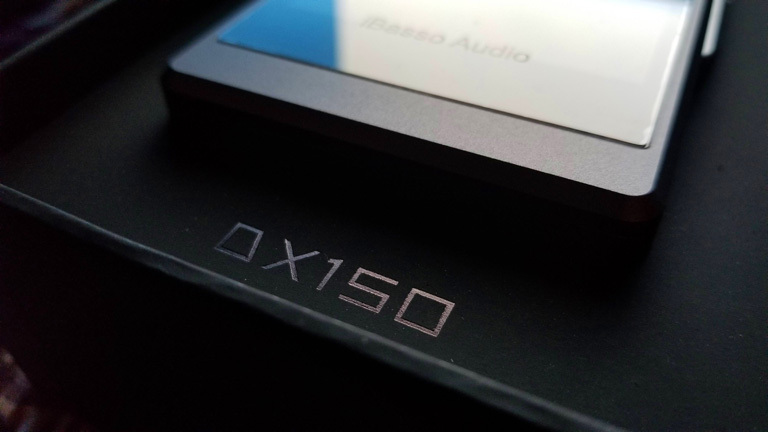 Or if you just want the best all around player, I consider the DX150 a step up from both the N5ii and 1S. Thanks a lot. Guess I’d like something more or less smooth and musical for genres like jazz, soul, funk, disco. So, likely the choice will be between DX150 and 1S (my current one is DX80). Damn! I just got the 1S. I can’t afford to pay for another one. Be at peace, Shaan. The 1S remains a brilliant device, and worthy of your affection for a long time to come. 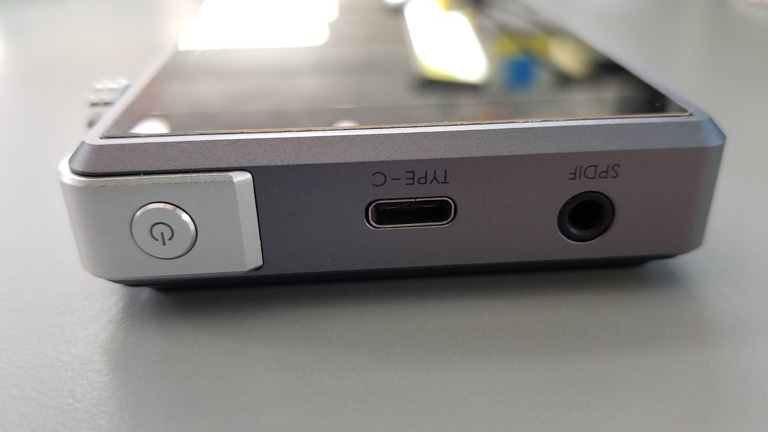 Plus… 2x microSD slots. The DX150 ain’t got that! Hi Pinky, were you running the Aeon Flow Closed single ended or balanced in your pairing? Cheers on another fantastic review! Single-ended, my man. Don’t have a balanced cable for these things. I should look into that. Great review. I’m pondering between this and the dx200 …. Thanks. Both are worth their asking price. So I say, buy the best your budget will allow.